As 2015 rushes toward its close, it’s time to start planning for next year. 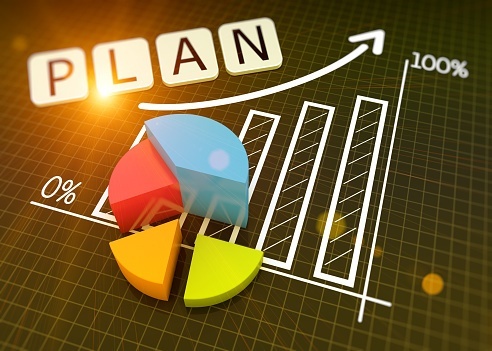 Any business that hopes to succeed will include a marketing plan in their business strategy, but it’s not enough to just pay lip service to it. That marketing plan should be actionable, measurable, and focused on Inbound Marketing practices. Not sure exactly what “Inbound Marketing” really means? HubSpot, the company who coined the term in 2006, refers to it as “the art and science of drawing visitors to your company on their own terms versus obtrusively pushing your messages onto them… [It] is the superset of quality content and other ‘magnetic’ tactics.” And their annual ‘State of Inbound’ Report is rather like the State of the Nation and the Farmer’s Almanac of marketing, combined. The 2015 report identifies trends and patterns worth noticing as you build your business plan for 2016, providing insights that are aimed at helping businesses improve top-line performance. When conducting its survey and analyzing the results, HubSpot focused on the segment of inbound marketers who generated positive ROI. They looked at these high performers to see if their priorities were different than those of low performers. Trend: In 2015, more than twice as many respondents cited inbound (45%) as their primary source of leads versus outbound (22%). Trend: 84% of inbound marketers cite organic, “top of funnel” lead sources (social media, blogs, SEO, and email marketing) as rising in importance over the last six months. And the Sales team agrees that these four have become the most important, although they place a relatively higher importance on email marketing, whereas Marketing prioritizes blogs and social media. Organizations that source more leads through inbound tend to enjoy an ROI advantage. While cost per lead was difficult to quantify, it was found that leads sourced through inbound programs were consistently less expensive than outbound leads. This held true regardless of company size. Trend: The number of marketers who state they are practicing inbound rose from 60% last year to 85% this year, while the percentage of marketers who concede they don’t run inbound was nearly halved to 13%. Trend: Inbound is not limited to Marketing. Sales, services, and other departments are starting to use inbound practices. Fostering an inbound approach outside the marketing department has the potential to be a big competitive advantage. Trend: Alignment between leadership and marketers has increased. This is likely due to an increase in the use of measurement and metrics to collect unbiased, objective data that can be used to drive informed decisions and set appropriate priorities. Pattern: Proven ROI has a significant positive influence on the size of the marketing budget. In fact, “past success with inbound” had a greater impact on budget than any other single factor. It seems clear from the results analyzed in HubSpot’s State of Inbound 2015 that Inbound is an essential part of the marketing strategy and overall business plan for any organization. It has been proven to generate leads, lower the average cost per lead, and increase ROI. So, how do you put it into practice? Include inbound programs in your marketing plan and earmark resources for them. Establish key metrics, and measure as you go. Identify the projects, activities that are providing the highest return. Does your organization “do” Inbound? Have you noticed any other trends or patterns? PreviousPrevious post:Content Creation: How Hard Can It Be?NextNext post:Who’s Your “Amy”?